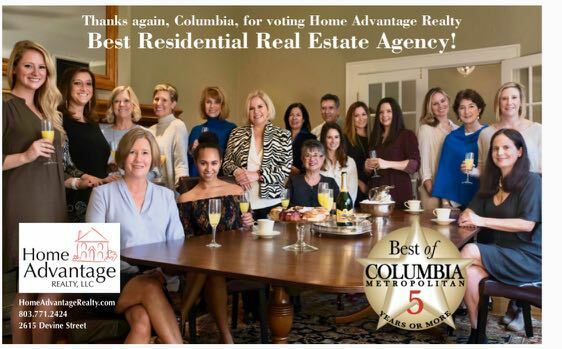 During our 25-year history, Home Advantage Realty has maintained a strong focus on helping newcomers to Columbia find the perfect place to call home! We work frequently and successfully with Palmetto Health’s incoming and graduating residents. We know your time is valuable, and we are dedicated to making your home buying process as stress free as possible! Please email me anytime at Jill@HomeAdvantageRealty.com or give me a call at 803 771-2424. Prefer to visit? We are located at 2615 Devine Street. I assure you a prompt reply and professional service throughout your home buying experience. Curious about the overall process? We have a great First Time Buyer Guide we are happy to email to you. City tours for newcomers who may be unfamiliar with Columbia and our neighborhoods. We love to introduce Columbia to newcomers! Personalized home search tools featuring the latest technology on our website, HomeAdvantageRealty.com that keep you up to date no matter your busy schedule. Unmatched knowledge of the Columbia real estate market and the best vendors for your mortgage, inspections, home repairs, and attorney.